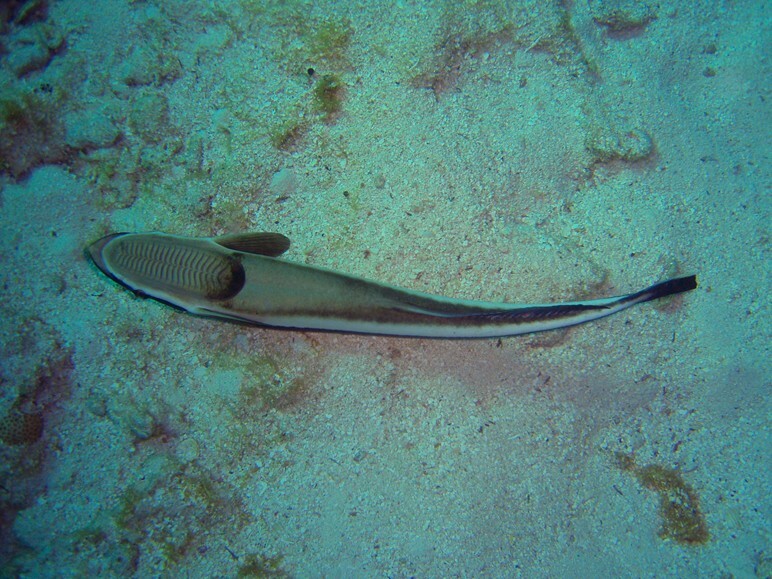 This is a Whitefin Sharksucker. 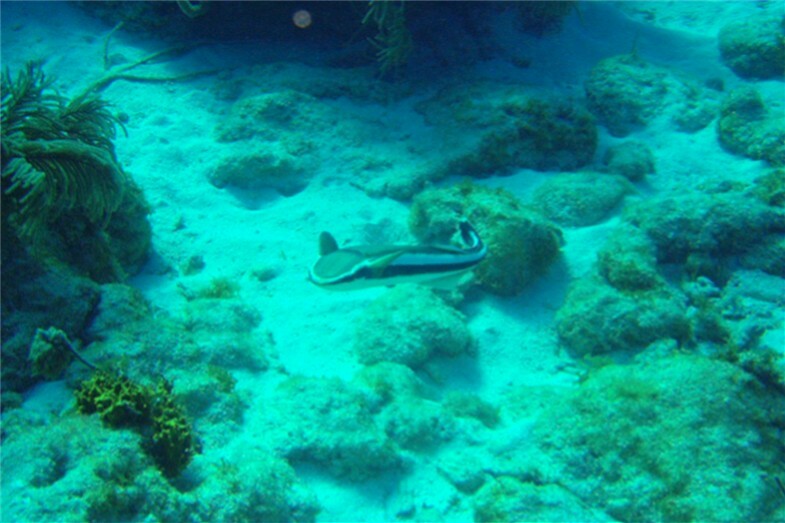 Sometimes misidentified as a Remora. Photo by Rod 20 Feb 2010 in about 30 feet water. Location was North-North Dry Rocks, Key Largo.. Features: 1. Wide white borders on dark tail. This is a Whitefin Sharksucker about 16 inches. Video by Rod 20 Feb 2010 in about 30 feet water.